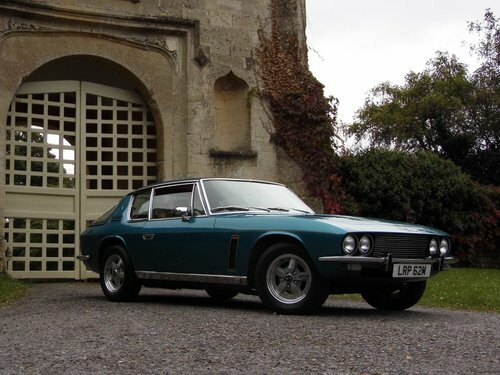 We are lucky enough to be able to offer this investment quality 1974 Jensen Interceptor Mk III for a commissioned sale on behalf of the owner. 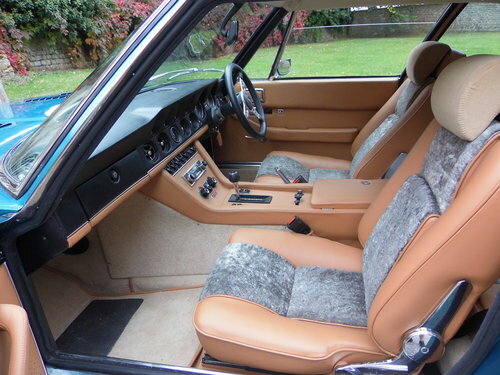 Presented today in its original factory colour scheme of Aquarius Blue (an optional Chrysler colour) with Tan leather and original material Mushroom lambswool inserts. 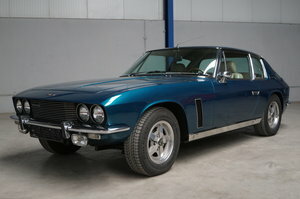 The current owners’ father purchased this car from a Jensen dealer, including picking out the striking colour scheme with his son. They both collected the car in March of 1974 and the current owner still remembers the excitement of that very first trip. Around 1990 ish, the son became the owner of the car. 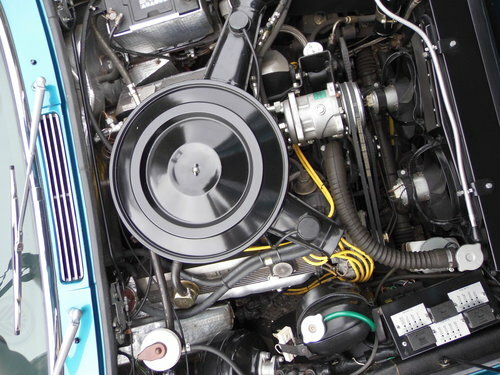 LRP had some remedial work done in the mid to late nineties at a well known Jensen specialist and then went into storage for a number of years. 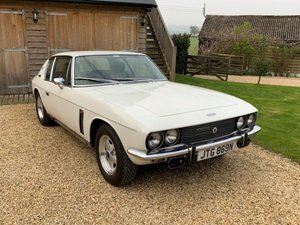 Fast forward to 2008 and the car required some thorough work to be done and it was entrusted to Jensen specialists Rejen in Hampshire who completed a sympathetic restoration during 2009 and 2010. 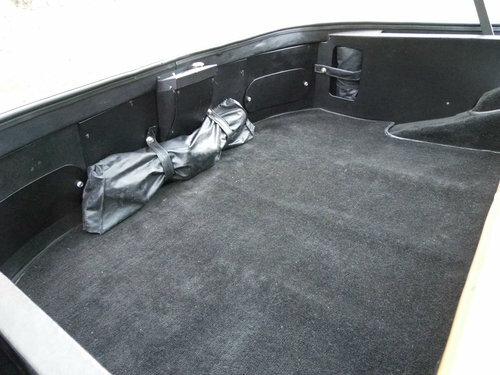 The car was used sparingly since then, being used on high days and holidays, and the owner confirms that the current mileage is correct since new. 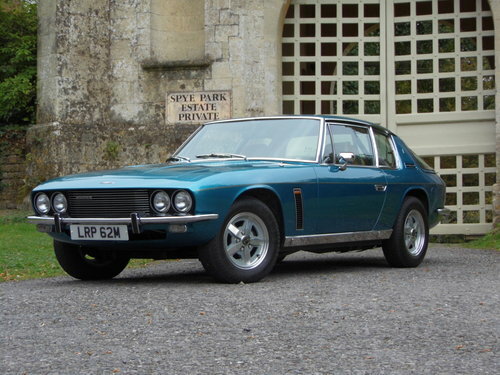 Today we are presented with an immaculate version of the Mk III Interceptor that is as good from underneath as it is on top. Very few cars have had such a ‘money no object’ restoration that stand up - some eight years later - to close scrutiny. On the road, the car behaves faultlessly, with a willing engine, smooth gearbox and excellent braking. The oil pressure is rock solid and there are no overheating issues, common with cars that have had poor servicing records. This is a car for the serious collector and one who wants the very best of its type. 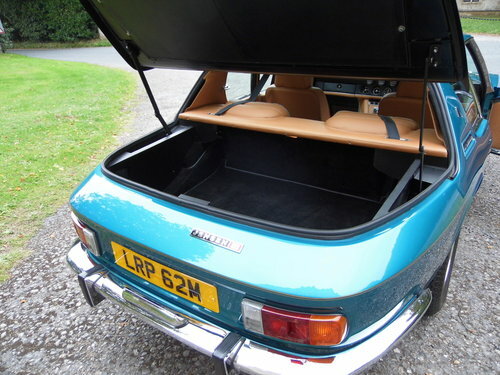 The term ‘investment level’ is often over used within classic car circles but it is a term that suits this car well. Viewing from serious parties can be done at our workshops in Wiltshire. For overseas investors we are happy for qualified pre- purchase inspectors to visit.